YOU ARE LOOKING AT THE BEST RATES IN TEXAS!!! ANY ATV BROUGHT BACK WITH WHITE ENGINE EXAUST SMOKE OR MILKY CARAMEL OIL WILL BE CHARGED $500. NO EXCEPTIONS WILL BE MADE. Don't have a truck or trailer? 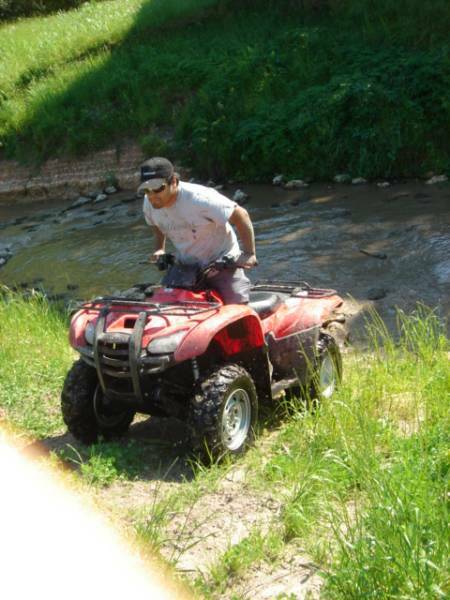 For an additional fee we can deliver your rented ATV to Xtreme off-road and Creek side edge ATV Parks. Trailer and destination fee (for upto 8 ATVs) Call for Pricing. Clean and with gas at level marked. ATVs must be returned no later than 9am on following day of rental date of lease agreement. If returned after 9am you will be charged for an additional day of rental. NO EXCEPTIONS! ATVs DO NOT FLOAT IN WATER: IN FACT IT CAN CAUSE MAJOR DAMAGE TO ENGINE RESULTING IN A $500 FEE FOR REPAIRS.